This hidden park was first created within the Upton Park estate in Slough in 1842. It was purchased in 1949 by Slough Borough Council and renamed Herschel Park. In 2010 it benefited from a £2.7m grant from the Heritage Lottery Fund which was used to restore the park to its former Victorian glory. The works were contracted to the Landscape Group and architects LDA Design Consulting LLP. The full restoration included refurbishment of the lake and construction of new stone bridges, extensive soft landscaping, installation of irrigation systems, lighting and footpaths. The Victorian coach house was also transformed into a Visitor centre. 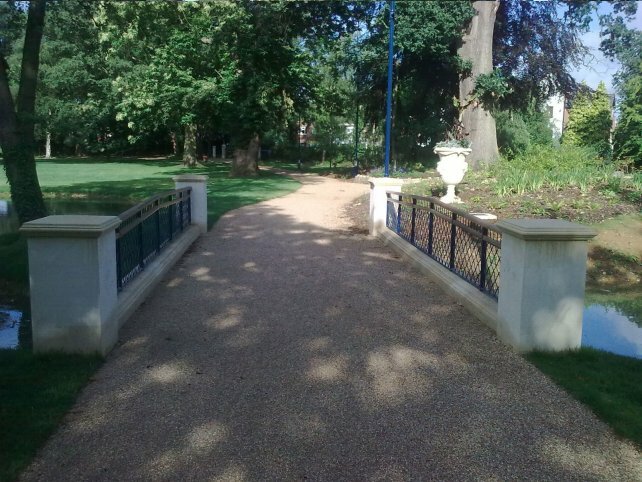 The project subsequently won a British Association of Landscape Industries (BALI) award in 2011 in the Restoration and Regeneration Scheme category. 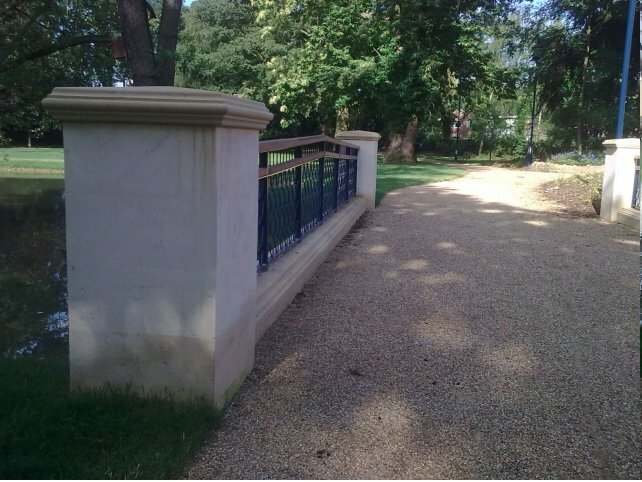 To bring the feel of this historic park back to its historic state, Alpha Rail was appointed to install 600m of 1200mm high estate railing to the boundaries of the park. We also supplied 920m high interlaced bow topped railing, metal guards to protect trees, and metal gates and estate railings at entrances. 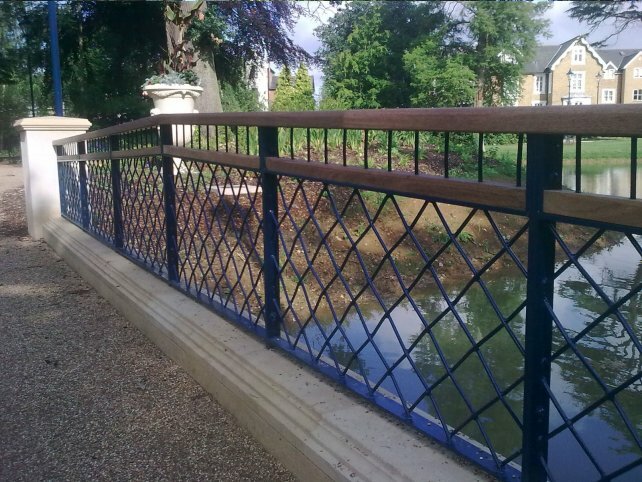 We also manufactured bespoke balustrades for the bridges which were manufactured from 900mm high panels featuring woven metal lattice work. The horizontal bars were then finished with a wooden plinth handrail and a further flat rail installed on the top with wooden inset rail. 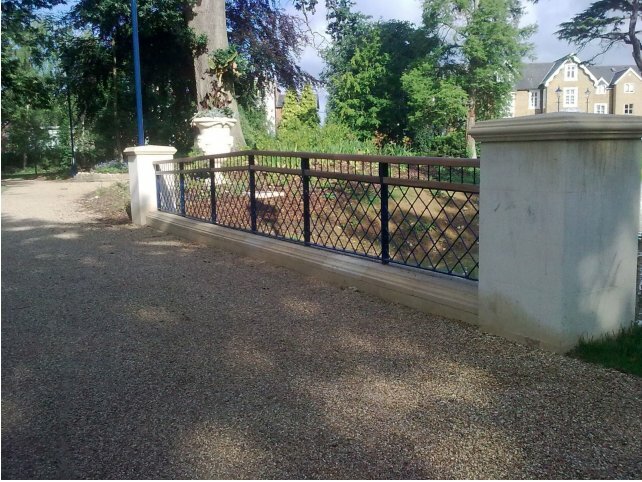 "Alpha Rail was particularly proud to provide the bespoke metalwork for the bridge balustrades as this enabled us to portray our full metalworking capabilities and demonstrate our expertise at transforming architectural drawings into reality."